An accident which concerns itself with the spinal cord can have terrible repercussions on life. Injury to the spinal cord is a life changing concern as suddenly suffering from a disability like this can leave a person confused and scared. It is easy to wonder how a spinal cord injury can affect the victim so deeply but the explanations are very scientific. Coping with the spinal cord injury may not be easy but with the right medical attention, optimism and guidance it is possible to lead a fulfilling and a productive life. 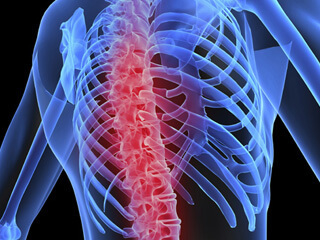 The time that immediately follows an injury to the spinal cord may often result in paralysis. This can be confusing and extremely traumatic. There are counsellors who can play a positive role in helping the survivors of such injuries reach a level where they can accept what has happened to them and then strive towards leading a better productive life. Sometimes the counsellor works together with survivor and family to ensure an optimum quality of life. The first phase post the spinal cord injury is called the acute phase. The victim is encouraged to talk about all aspects of the incident which has happened. A lot of knowledge is gathered about the emotional, physiological and cognitive condition of the spinal cord injury survivor in question. The victim is then helped to reach a suitable list which contains all the tasks which he/ she can still do independently. Encouragement is provided to continue doing those tasks. For the tasks that require assistance, the victim is coached to gracefully accept help for the same. Financial, employment paperwork and data for insurance is gathered as these are all critically important for a spinal cord injury survivor. There are some milestones which are focused on when a person suffering from spinal cord injury is brought back on the path to rehabilitation. The first focus is recovery and on getting back to a semblance of independent existence in context of productive life, social context and work. Commitment to therapy is required and a positive attitude is actively cultivated. All little achievements of the recovering individual are celebrated and simple tasks are started in a structured way before any complicated task is approached. There are many long term goals set for the patient once a holistic psychological and medical assessment is done. There is an interdisciplinary team which is handed over the special task of rehabilitating the victim of the spinal cord injury and each member of the recovery team has a special role to play. There are nurses who work as the primary education provider, emotional booster and care givers. A number of therapists like recreational, vocational physical therapists and occupational ones impart life skills which help in restoring functionality. Physicians are available for prescribing medication and assessing the physical state. Psychologists are also assigned for facilitating the much needed emotional release as such a form of injury usually leads to deep emotional scars.